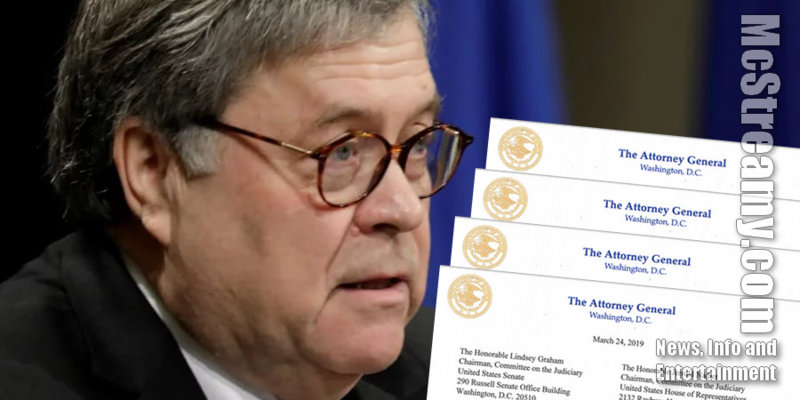 McStreamy.com – United States Attorney General William Barr [pic] informed key members of Congress in a four page letter today (03-24-2019) that the 22 month Investigation by the Mueller Special Counsel team did find Russian interference in the 2016 election, but did not find indisputable evidence of conspiracy with Russia by any members of the 2016 Trump Campaign team to do so. The Special Counsel’s investigation determined two main Russian efforts influenced the 2016 election. The first involved a Russian organization called Internet Research Agency, which conducted disinformation and social media operations designed to sow social discord with aim of interfering with the election. Mueller also found, Russian government actors hacked into Hillary Clinton Campaign and Democratic Party emails and made them available to the public on the Internet through WikiLeaks. As for news reports of possible obstruction by President Trump during his first nearly two years in office, “the government would need to prove beyond a reasonable doubt that a person, acting with corrupt intent, engaged in obstructive conduct.” Barr indicates the Mueller Report findings do not conclusively prove that contentious issue. “There must be full transparency in what Special Counsel Mueller uncovered to not exonerate the President from wrongdoing. 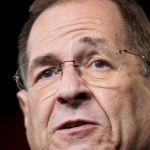 DOJ owes the public more than just a brief synopsis and decision not to go any further in their work,” according to Chairman Nadler. For more Mueller Report news see our sister website for TheTopNews. McSTREAMY SITEGUIDE shows you at a glance (with easy to understand illustrations) all of the many pages of things to see, listen to, read and view at our McStreamy.com website. It’s a simple, straightforward way to get where you want to go, fast. Click Here or select SITE GUIDE from the Menu at the top of any page.